Aris is admitted as a lawyer by the Supreme Court of the Philippines and has been practicing law for more than 18 years with over 13 years’ experience in Laos. He has extensive international and regional experience. He holds a Master of Laws from the Universitiet van Amsterdam and post graduate diploma from the Institute of Social Studies of Erasmus University. 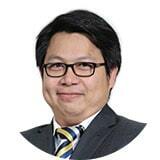 Before joining ZICO Law, he has worked on several major investments in Laos and combines his local knowledge and experience with international expertise. He has professional experience in the following practice areas: corporate and commercial, investment structuring, investment regulatory compliance, investment and project coordination, due diligence, company establishment, contracts, real estate, labour, intellectual property registration, international non-governmental organizations, administrative and other government proceedings in the Laos and Philippines. Authored by ZICO Law Laos Managing Partner, Aristotle David, the guide provides a comprehensive look at the laws and regulations governing investment and offers readers a bird’s eye view of Laos Investment.